Sefrans Banamtuan is an animal husbandry student at Nusa Cendana University in Kupang, East Nusa Tenggara (NTT), and he has always been curious about the operational standards of Australia’s cattle industry. “I wanted to learn about the cattle industry in Australia. I think NTT and Australia have similar conditions, so I wanted to know how I can make the cattle farming in my hometown as advanced as in Australia,” he explains. 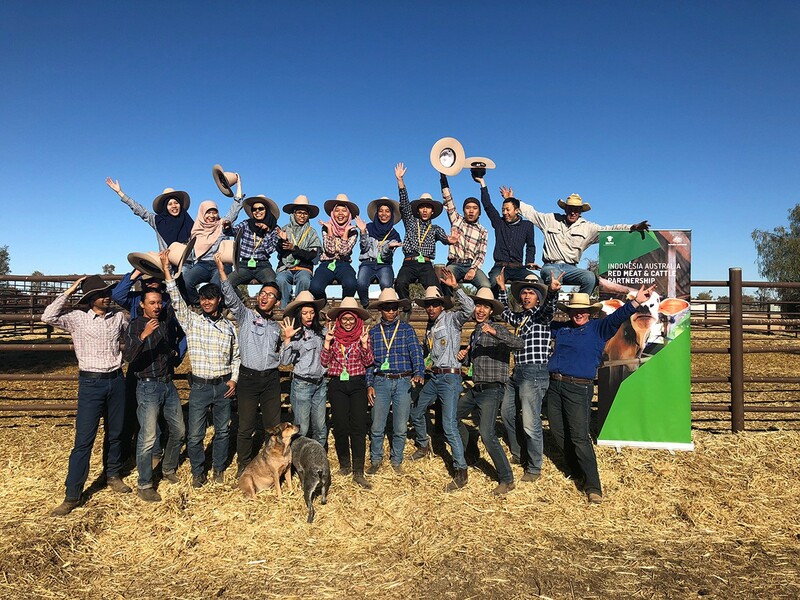 Sefrans was one of 20 Indonesian students selected from animal science and animal husbandry courses at 15 universities across Indonesia and invited to join the Northern Territory Cattlemen’s Association (NTCA) Indonesia Australia Pastoral Program (NIAPP) in 2018. “Competition for a place in the program was strong,” says Kylie Gracey, an NTCA Project Manager. The ten-week program was opened in early July 2018 at the PT Pasir Tengah breeding facility in Cianjur, West Java by Mr George Hughes, Agriculture Counsellor at the Australian Embassy in Jakarta. Prior to their departure, students received advice to prepare them for their arrival at the NTCA’s training facility in Alice Springs, Australia. They were then assigned to different stations across northern Australia, where they would spend six weeks experiencing many unique aspects of Australian station life, while also refining their cattle-handling and husbandry skills. For Sefrans, who quickly realised that upholding animal rights is important for the future of the cattle industry in both Indonesia and Australia, animal welfare was highlighted as a management practice that he would apply on his return to NTT. While observing the benefits of more advanced technology, Sefrans was also surprised that some aspects of cattle management could be so simple. Aviola “Vio” Putri Hermanto, a participant from Diponegoro University in Semarang, Central Java, was also excited to be part of NIAPP. Having been stationed at Mataranka in the Northern Territory, Aviola says she learned a lot about the cattle industry in Australia while participating in the program. After returning to Indonesia, participants of NIAPP delivered a presentation at the Indonesian Ministry of Agriculture. Aviola says they will continue to share the knowledge obtained in Australia to improve the cattle industry in Indonesia. “I already started to educate my friends about cattle management and animal welfare through social media during my time in the program,” she adds. NIAPP is a unique program designed to provide practical, hands-on experiences where students are able to learn and share cattle management techniques between Australia and Indonesia. At its August 2017 meeting, the Partnership agreed to continue its commitment to NIAPP, for a further three years (2018–2020). 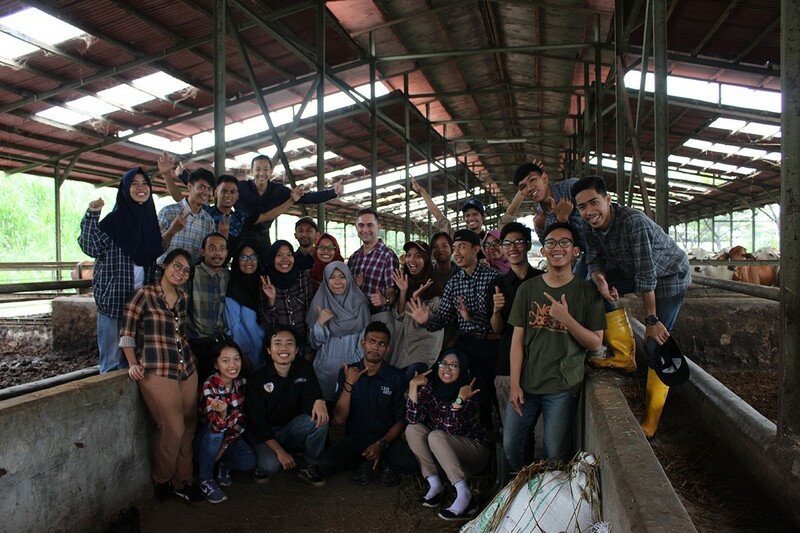 Contributing to the strategic objectives of the Partnership, NIAPP helps establish industry-to-industry linkages at the grassroots level and provides opportunities for Indonesian students to enter the beef and cattle industry. The program, which features reciprocal visits to Indonesia by Australian industry representatives, has created a mutual understanding of industry issues and built long-lasting relationships. It has also provided excellent opportunities for media engagement and promoting the Indonesia Australia cattle partnership. Collaboration with Australian cattle stations is an important aspect of NIAPP, not only to provide first-hand experiences of the cattle industry, but also to improve animal welfare. Mr Rohan Sullivan, from Cave Creek Station near Mataranka, has been hosting students in the program for a number of years. “I see tremendous opportunity to create strong relationships through the entire supply chain, with improved animal welfare outcomes as a key driver in supporting the program,” he says.